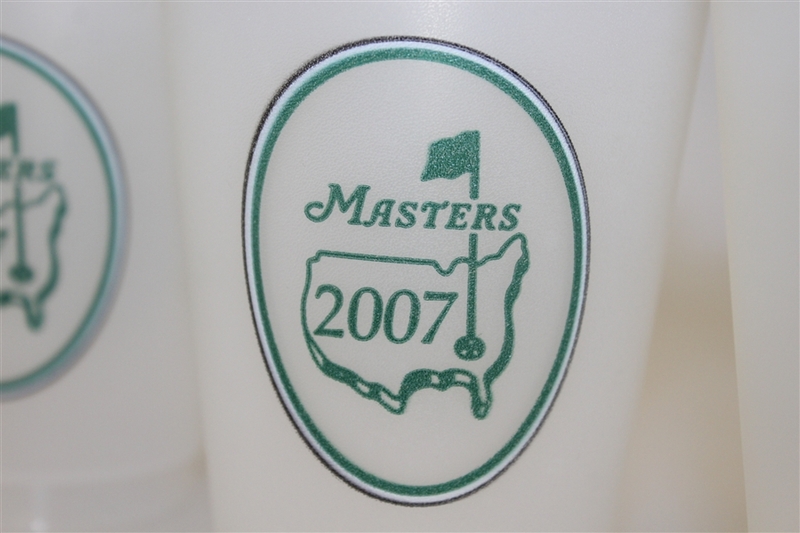 2007 was a monumental year for Zach Johnson. He captured his first Masters victory which was also his first major championship victory. 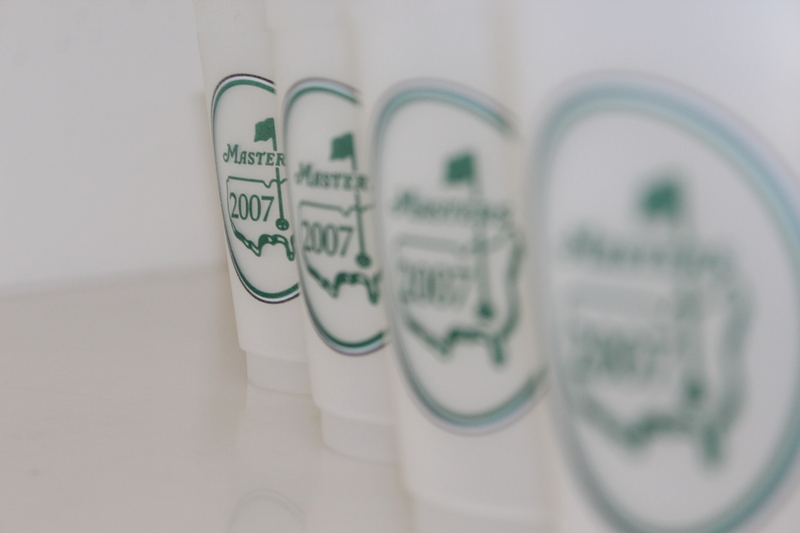 Johnson's victory put aside the notion that only long hitters could win the Masters. He didn't reach a single par 5 hole in 2 shots yet still played the par 5's better than anyone. As joyous as a day this was for Zach Johnson, this would be the last Masters appearance for the great Seve Ballesteros. 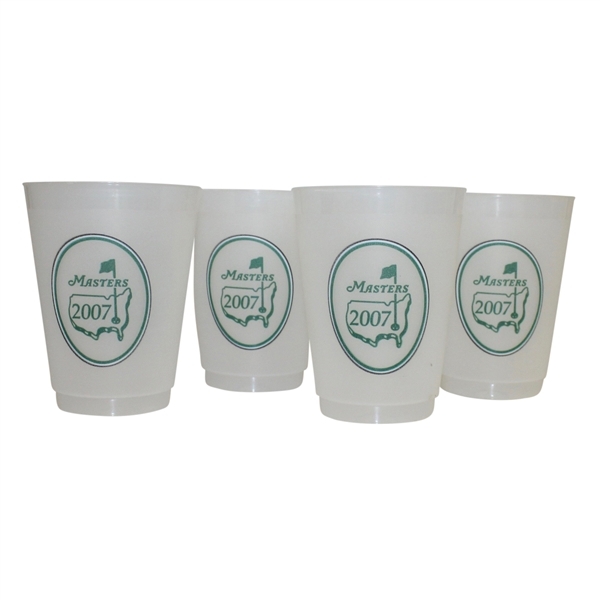 Listed here are 4 reusable Masters Logo cups from the 2007 Masters tournament.